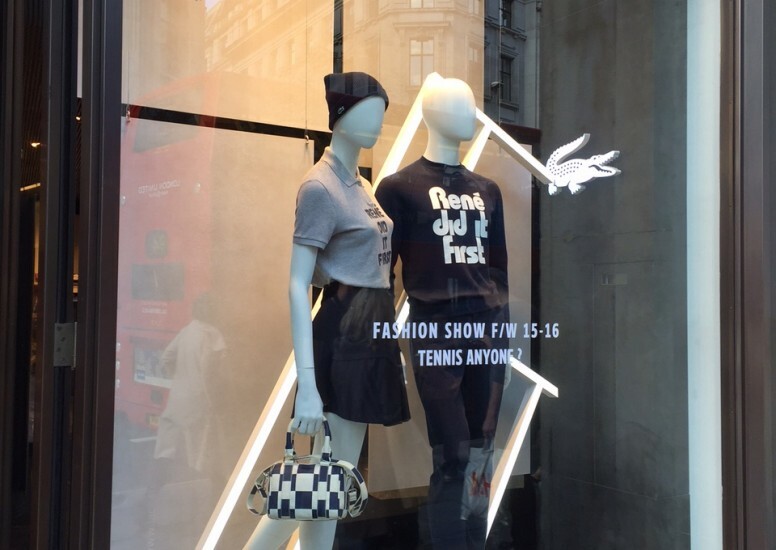 As part of Regent Streets first ever fashion and design month we collaborated with Lacoste on the design and installation of their windows in London's flagship Street. The simple supporting windows have been launched as part of London Fashion Week and feature illuminated backdrop with the iconic Crocodile brand mark. The window displays are in store for 2 weeks only for the duration of LFW.